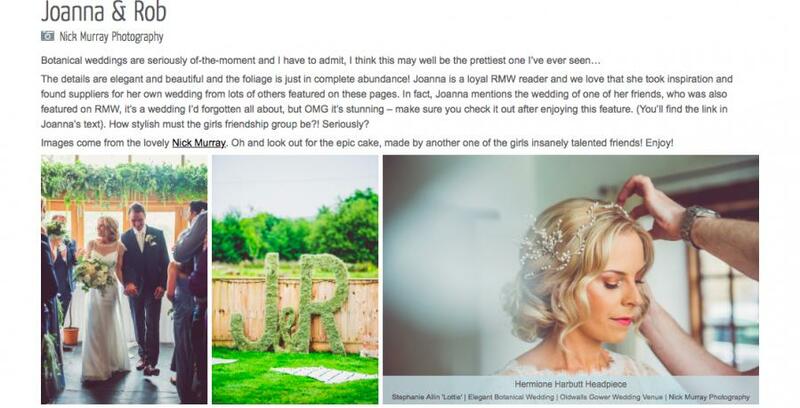 We are so delighted to see a real HH bride Joanna being featured in Rock My Wedding Blog. Joanna you look absolutely stunning! Joanna favoured a bespoke Lily Hairvine for her very special day. Photography by the talented Nick Murray. Wedding dress by Stephanie Allin. Wedding Venue Oldwalls in Swansea. Hairstyling by Belle Toujours. Make Up by Jody Amner. Decoration by Sass and Belle. Flowers by Eva Frances Designs.